Tuesday, May 22nd, 6:30 AM. It is foggy and very damp. Overnight it rained lightly, adding to the moisture. Yesterday the waterline to the pastures was pressurized (successfully) for the first time in 2018. 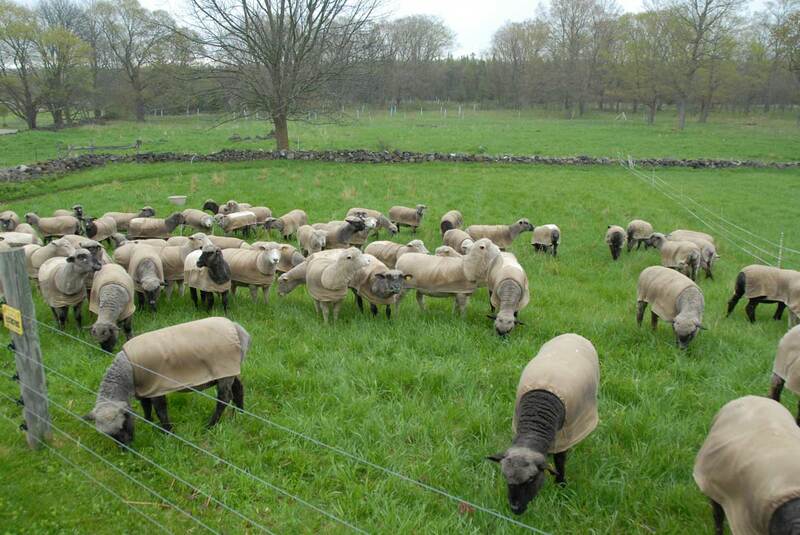 The previous day the four pastures closest to the barn finally passed their electrical tests in flying colors. The perimeter fence lines are carrying over 9000 volts of “pop”, hopefully enough to deter intruders and potential escapees (not to mention awakening careless, sleepy shepherds!). Yesterday the rams were moved out of their winter quarters next to the ewes and back into the addition of the “new barn”. There is now plenty of room in the addition as we are down to the last 6 round bales. Hopefully the temperatures in the addition will not be cold enough any longer for the lads. Yesterday the flock knew that it was coming, one could sense their excitement. This morning they made their first exit from the barn in 2018 with good speed and no serious accidents. By 7:00AM they had, for the most part, settled down from flights of joy and excitement. Instead they were busy grazing their first lush green pasture for the year. It was safe to say that everyone of us (except the rams) were very happy! It was truly amazing to look back to a month ago when this scene was buried in 30 some inches of snow and cooled by the coldest April on record. Spring has been delayed, but finally there are hints of green in the maple grove and the pastures are starting to grown nicely. Bianca was happy with the first grass of the season; she was too busy to pose for a picture. Ruby has been here before, in fact. She celebrated her 14th birthday last month. She is now the oldest member of the flock. She has lost all of her front teeth which means that eating is a bit more of a challenge. (She gets extra treats at dinner each evening!) In addition, she lost the sight in her left eye this winter. Despite these set backs she managed quite well today. Here’s to you Ruby! The grazing up along side the western hillside always seems to be the tastiest, I do not know why. 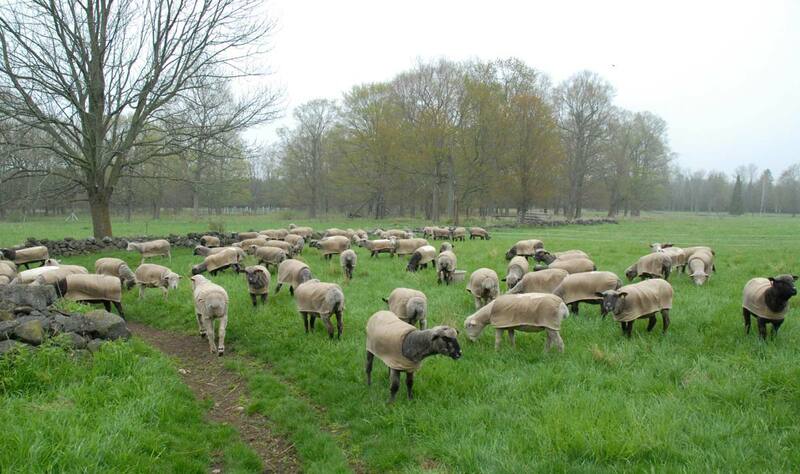 But this area is always popular on the first day of grazing. There is still more work to be done to get the last three pastures ready to be grazed. There is a tree down in #2 to be cut up and removed. Fence lines in all three of the remaining pastures need some clean-up, including smaller downed branches in both #2 and #3. But with four pastures ready to go I do have a bit of a time before the sheep get to them. However, it is also that time of year when the flock expects visits from our B&B guests. Also sometime in the not too distant future it will be time to start making hay for next winter. Nevertheless this is the time to enjoy the peaceful scene of the flock on fresh pasture. Love the pictures. I will be out your way this summer and hope to visit! 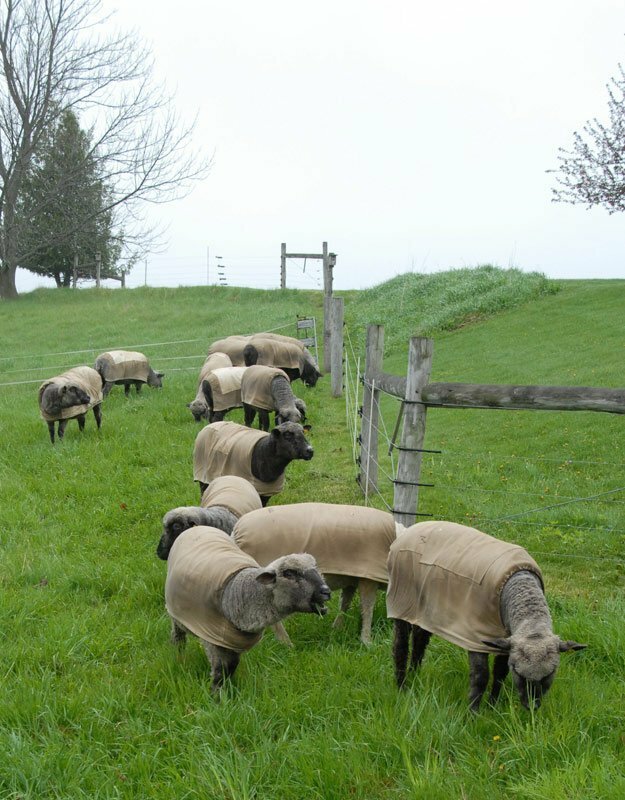 Always love to see the pics of the sheep in their pastures. You both just keep going like the energizer bunny! The green seemed to burst forth while we were there last week. Your farm is so very lovely! 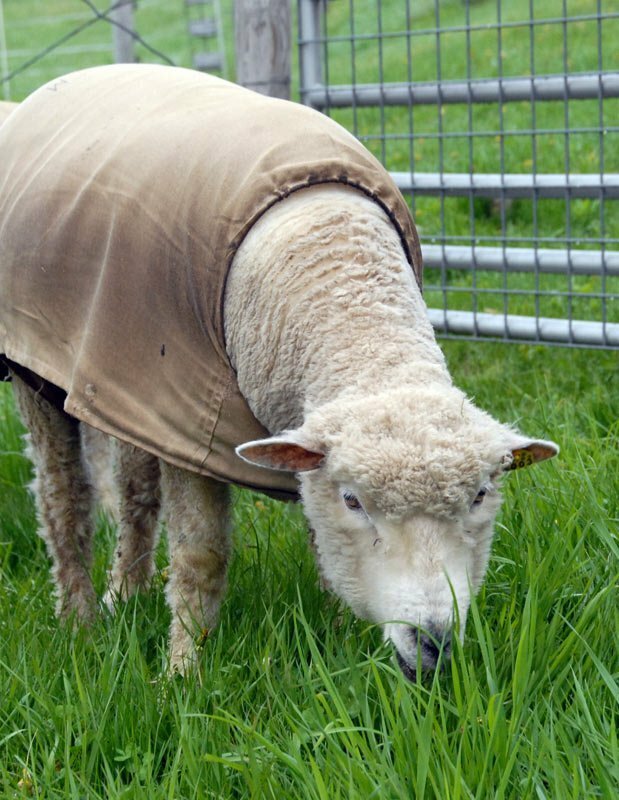 I wish we could have stayed longer to see Miss Ruby and the rest on new pasture. 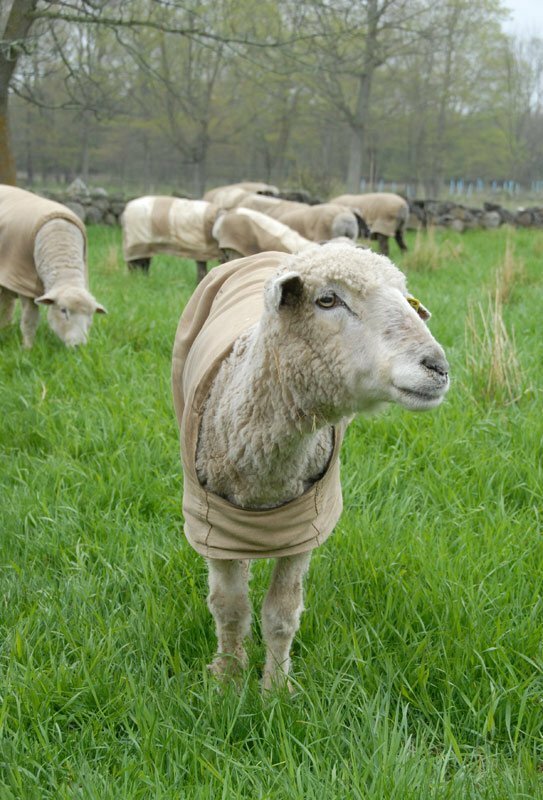 It is such a joy to see frolicking sheep. Thank you for sharing.